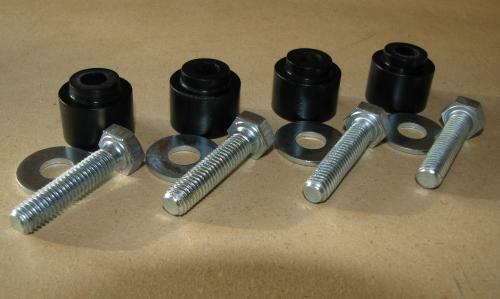 These bushings replace the sloppy rubber bushings at the transmission end of the shifter cables (OEM bushings shown in background of photo) with solid delrin. Shifter feel is greatly enhanced, and gear-missing is dramatically reduced. These replace the bushings under the shifter cage, to improve shifter feel and take the away the sloppiness of the factory rubber bushings. 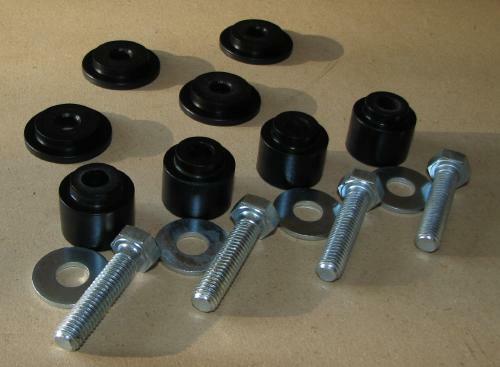 Includes (4) solid delrin cage bushings, (4) washers, and (4) 8mm x 35 bolts. Combo pack of the above two products. 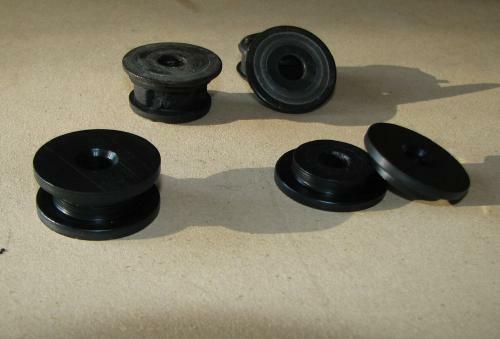 Includes (4) solid delrin cable bushings, (4) solid delrin cage bushings, (4) washers, and (4) 8mm x 35 bolts.